Welcome to Day 9 of the Blog hop! You can check out our blog hop details HERE starting from day one. A quick reminder that there are plenty of (Prima) goodies up for grabs not only from participating in the month's challenge but also for completing the blog hop. Today's Guest Designer who is no stranger to you all. Her creations can be instantly recognized by her signature style - gorgeous lace, flower clusters and unique backgrounds. "My name is Mallika Kejriwal. I am from India and I just moved to Chicago from sunny California. I have loved colors, threads, ribbons and such since the age of 5 - I remember making pretty clothes for my dolls as a little girl. As I grew up, I engrossed myself in studies and forgot about my creative side. It was during my junior year of engineering (I am a computer science graduate), that I started making cards using newspapers, old scraps of paper etc. 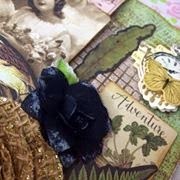 I stumbled upon a card making blog and was simply amazed by the amount of glamour that could be associated with a piece of paper. 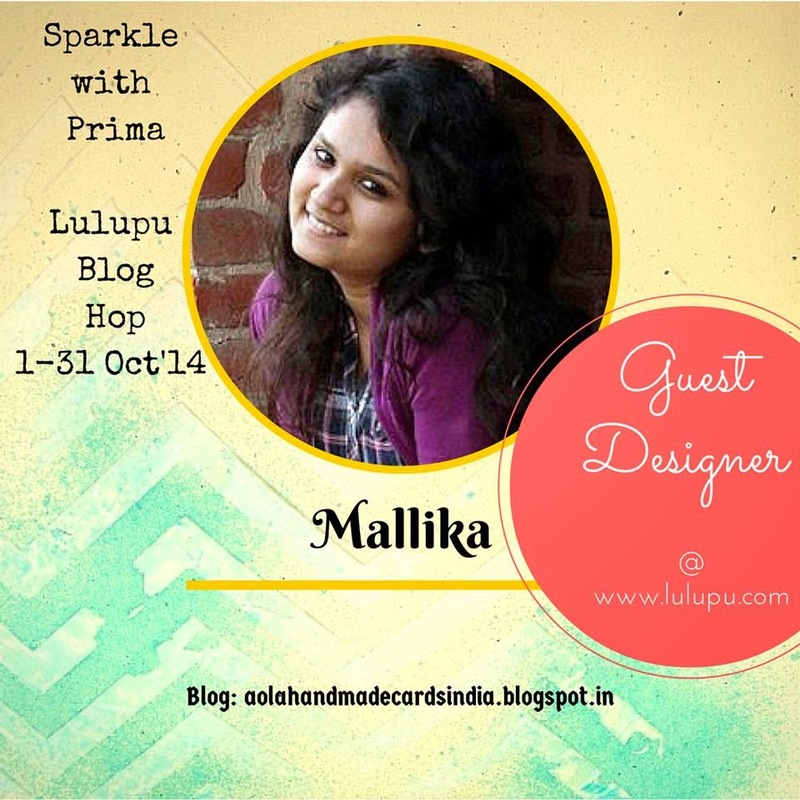 I started my own blog – Aola Handmade Cards – after undergrad and have not looked back since. I love teaching and inspiring . Crafting is now not just a passion for me, it’s also an addiction! I hope to inspire you all with wonderful ideas and projects." I teach via my Youtube Channel and I try to inspire as many possible via my blog. For this blog hop I have used almost every new release of Prima. Please hop over to see full details. See you at Aola Handmade Cards. Hoping over to your blog!!! Loved all the details dear :) Beautiful layout!